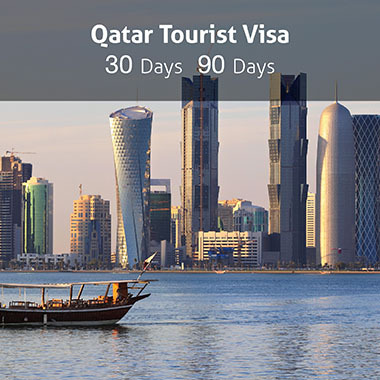 We take away the hassle of tedious visa application procedures for customers who wish to visit the U.A.E & QATAR with Cozmo Travel Mandoob service saving time and providing peace of mind to the traveller. 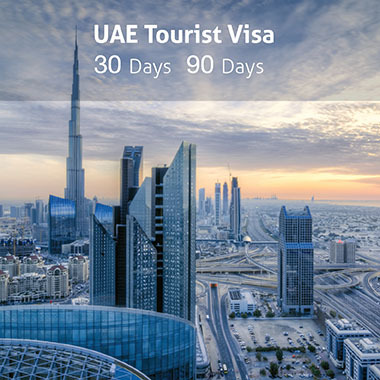 UAE Visa change for Kabayan at AED 1835! The Kabayan A2A (Airport-to-Airport) Visa change package* includes one return air ticket to any Visa Change destination with one deposit waiver (you do not need to deposit AED 2500 at the airport) and one 90 day visit visa. Per Pax refundable deposit is waived off for Filipino nationality under this promotion. *Kindly note the Visa change package is subject to availability. On clicking the Search button, you will be redirected to the details page with information about the visa fees, deposit amount if applicable, type of visa, number of applications and the total amount you need to pay to continue with the application process..
Review the payment options, read and accept the Terms and Conditions and click on “Pay Now” button to make the payment. You will be notified through email upon successful payment. You can check your visa status online by logging into your account under MyTrips. Send yours and visitor/s passport details at helpdesk@cozmotravel.com mentioning the Visa Trip ID (you can find your Visa Trip ID on the email which you receive once you made the payment) generated for you in the email subject line..
Once we verify the document and payment, we will create your “Visa Application Form “to submit to the immigration department. We will notify you once the Visa gets approved / Rejected by the immigration department..
Once the visa gets approved, we will issue the eVisa to your registered email id after verifying all payments and dues. Kindly note: All visas issued online will be eVisas, however an original copy can be requested for an additional fee. A copy of eVisa shall be provided to the customer once a round trip ticket is purchased through either our website or through Call Center / branch network else an additional service charge of AED 100 will be charged. Cancellation of an issued visa may be requested at an additional fee subject to immigration conditions. Visa message or OK To Board message can be updated at an additional fee. Once your visa is approved the visa copy will be uploaded on the MyTrips.You can download your eVisa copy online by logging in to www.cozmotravel.com with your registered email and password. Upon receiving the eVisa, we recommend you to check all the details mentioned in the visa copy and in case of any discrepancy please contact us immediately by emailing us at helpdesk@cozmotravel.com. Incorrect detail in your eVisa copy (or details not matching your passport) may result in rejecting entry in to the country by the Immigration officer. GoCozmo will not be liable for any rejection whatsoever.Visitors are advised to carefully go through the “Note” printed on the visa document for “Visa Validity and Duration of Stay”. Passport Copy: The copy should be clear and preferably in colour, both first and last pages. The passport must be valid for a minimum of six months from the date of application. Photograph: One clear passport size colour photograph with white background. Note: Additional documents may be required by the immigration authorities which we will communicate to you through the email ID /phone number provided by you. Guarantor’s residence visa copy with minimum of three months validity. goCozmo.com hereby declares that we have no role whatsoever in the assessment of a visa application, which is the sole prerogative of the government of Immigration department of the visa processing country. Therefore, goCozmo.com will not in any manner be liable or responsible for any delay in the processing or rejection of any visa application. 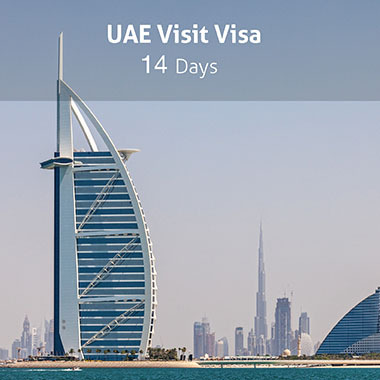 The visit visa facility is available for tourist visiting the country and fulfilling the eligibility conditions as announced from time to time by the immigration authorities. Issuance and approval of a visit visa is solely regulated by the government of the visa issuing country and governed by their rules and regulations that may be amended from time to time. In case of rejection of visa application, the applicant will be informed of the same and no correspondence will be entertained. As advised above, visa fees will not be refunded and no reasons will be required to be given. The visa is valid as per the government of issuing authorities rules and regulations as amended from time to time. The visa must be availed within its period of validity. goCozmo.com will not be liable to a visitor for any changes or cancellations to government regulations that should result in a visitor not being able to travel to or enter the country. goCozmo.com will take all reasonable measures to ensure that the information provided by the guarantor/visitor in its application form will remain confidential. However, goCozmo.com will not be liable for any unauthorized access by any means to that information. Guarantee deposit amount should be collected any time within one year from the date of deposit. Upon expiry of the above said duration, the security deposit will not be refunded to the guarantor. If any crime takes place during the visit of the traveler sponsored by us the police department of the country will deal them. In case if they are imprisoned or if the immigration system shows an overstay the guarantor shall be solely responsible for the penalties and liabilities. goCozmo.com has full authority to take necessary action against the guarantor. goCozmo.com reserves the right to change the terms and conditions at its discretion and without notice. You can apply for a visa a maximum of 58 days before you travel, and a minimum of seven working days before you travel. We recommend you apply for your visa well in advance of travel. Will I definitely get a visa if I apply online? The decision to grant the visit visa is entirely at the discretion of the country’s immigration authorities – goCozmo cannot guarantee that your visa application will be accepted. If I get a visa, am I guaranteed entry in to the Country? The granting of a visa does not guarantee entry in to the country for which you have applied for the visit visa. The final decision is made by the immigration officer at the point of entry. If all required documents are submitted correctly, visa is normally issued within 5 working days. Do I have to pay any security deposit? Security deposit is applicable depending on the merit of your application, nationality and type of visa , our visa operations team will advise you if any deposit is required. What documents do I need to apply for visa? Do all family members need to submit documents? Please click on Documents Required for the details. Yes, all family members need to submit documents. The immigration office requires all visitors to have a passport that is valid for at least six months from the date of arrival. If your passport is valid for less than six months, you will need to renew it before you can apply for a visa and travel to the desired country. Yes, all passengers, including children and infants on a parent’s passport, must have a valid visa to enter the country. This also includes infants travelling on their parents’ lap. When you complete your visa application, you will receive the TRIP ID. You need to login to www.gocozmo.com and in the My Trips section you can see your visa application with the latest status. We will also notify you through email once your visa application has been approved, rejected or if additional information is required. Does the visa fee include credit card charges? Yes, the visa fess are inclusive of Credit Card charges. Will my visa fees be refunded if my application is rejected? Visa charges are not refundable, however, we will refund the deposit amount. How can I contact Visa department? You may contact us at helpdesk@gocozmo.com or call us at +971 600524444 from Saturday to Thursday. Timings: 9 AM to 3 PM during the holy month of Ramadan and from 9 AM to 9 PM for the rest of the year. Customers save valuable time when choosing to travel abroad with Cozmo Mandoob as the service extends to visa application for countries outside the U.A.E. 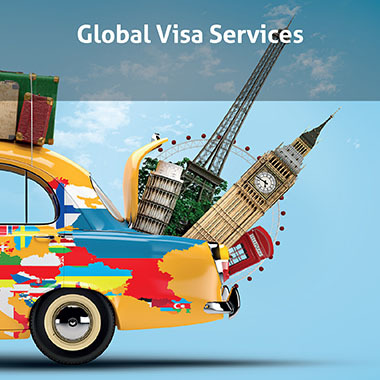 Please click on the following URL to submit your enquiry for other country visa, Click Here .